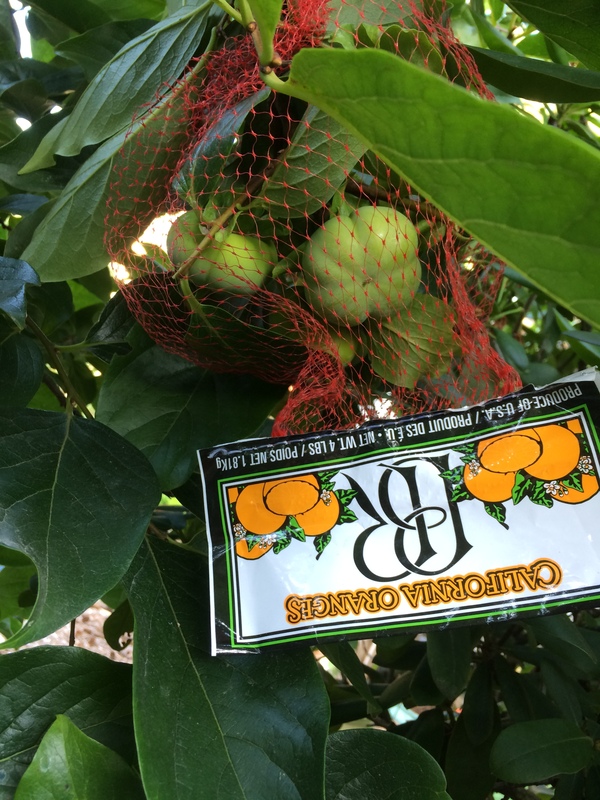 Two years ago I harvested about 6 fruits –first harvest!–from my wonderful Persimmon (Fuyu-type) tree. 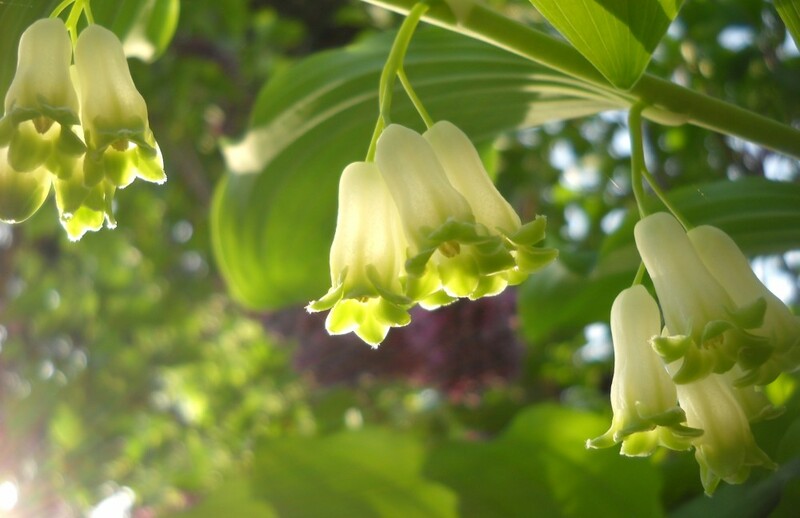 Wonderful, not just because it produces exceptional fruit, but also because it’s a beautiful tree at all times of the year–OK, maybe not so much in early spring before its late leaf-out, but every other time of the year. And the growth became gangly and unattractive. 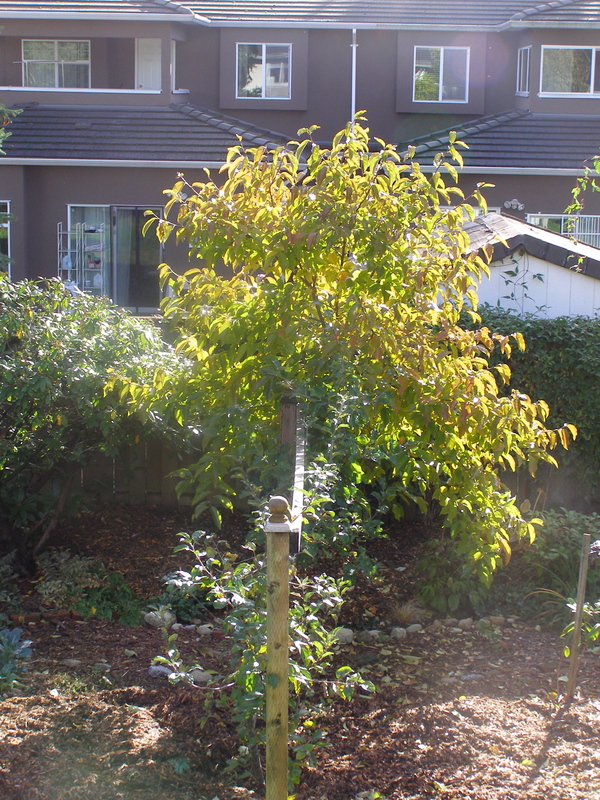 This spring I pruned off a lot of last year’s growth, mainly so I could actually manage to drape it with bird netting, hoping to keep out the squirrels. Unfortunately this year’s (potential) harvest will be a fraction of last year’s (potential) harvest. 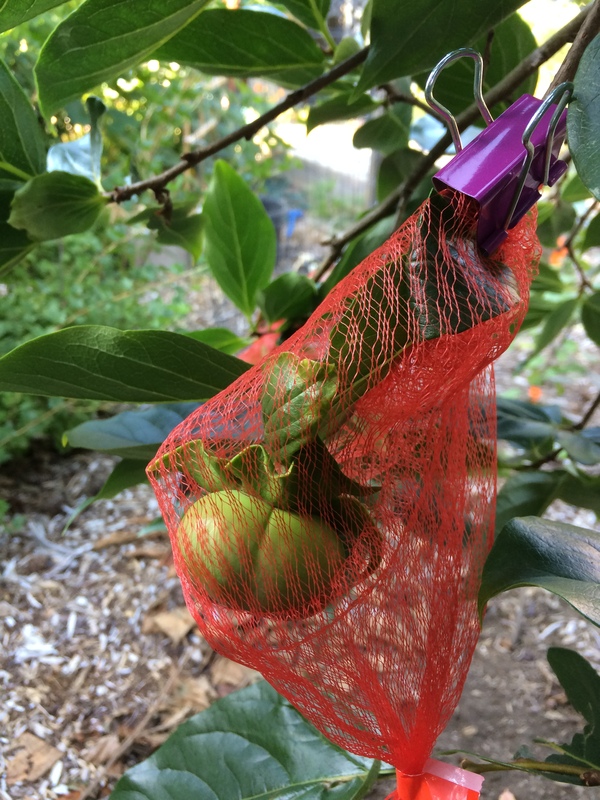 Did I prune off too many fruiting branches, or do Persimmons do what many other fruit trees do–alternate good harvest years with less-good harvest years? 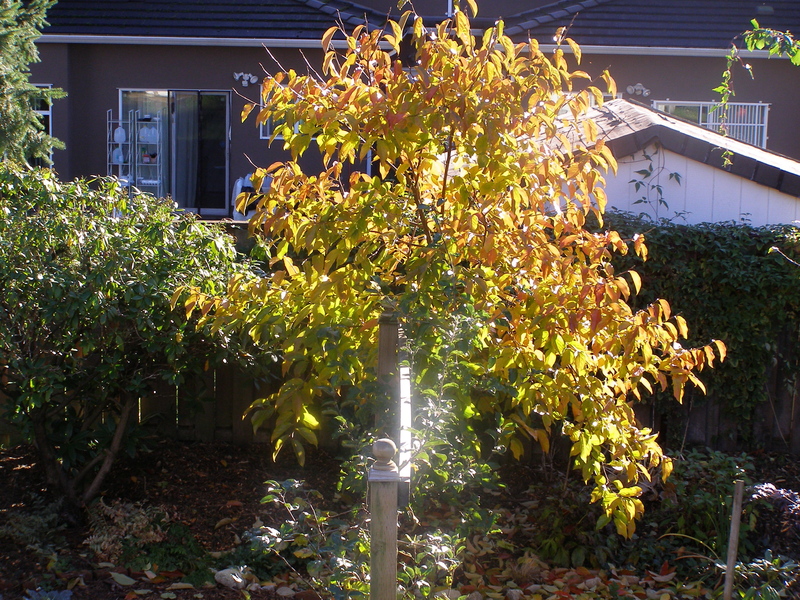 Certainly my Italian plum, prolific last year, has only about a dozen plums this year. 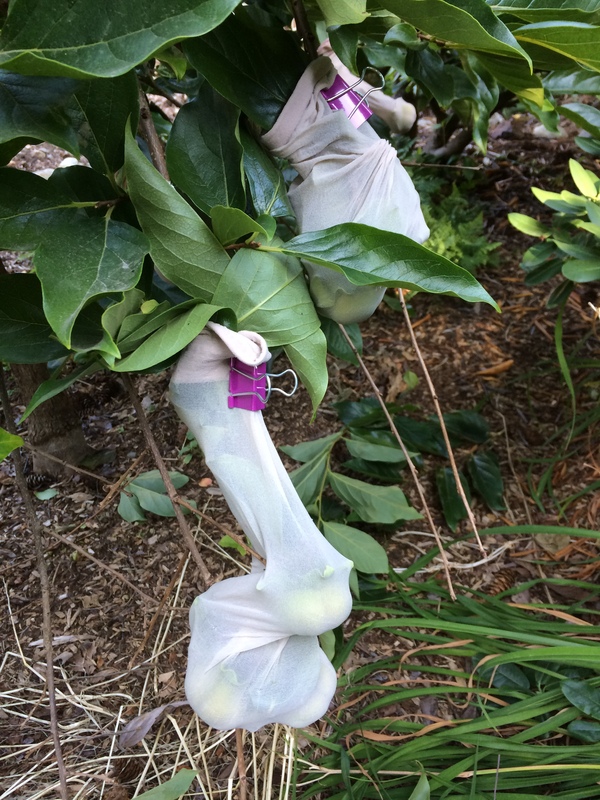 So I decided that the effort to drape the whole tree for the sake of 20 persimmons wasn’t really worth it, but there might be an alternative. 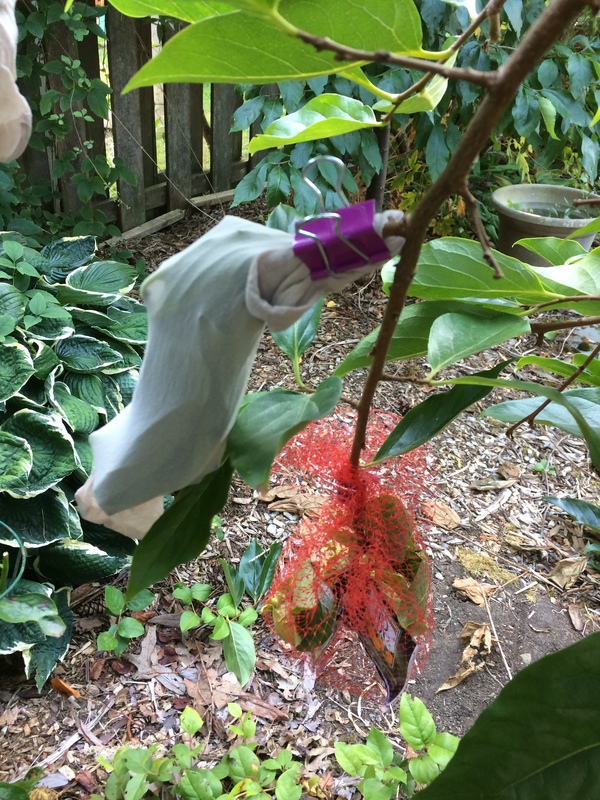 Admittedly not the most beautiful garden-hack. So does anyone else have a better solution? 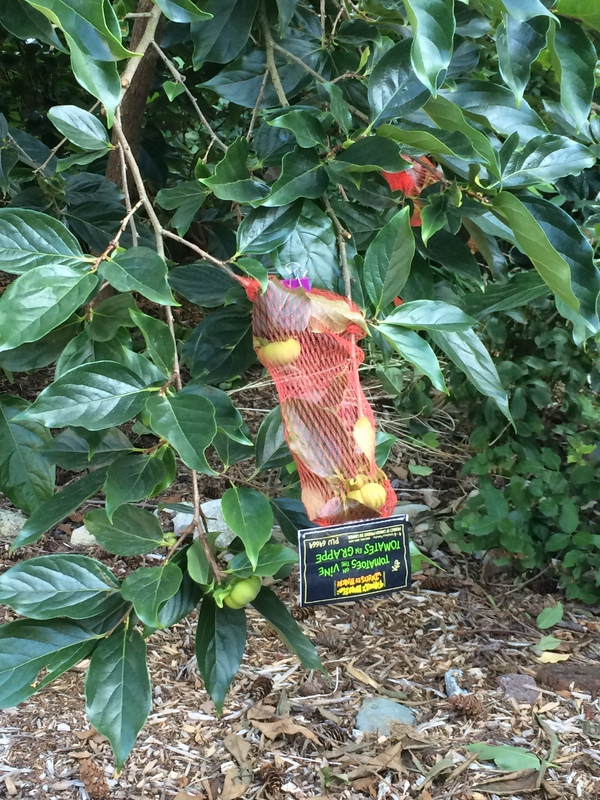 This entry was posted in design, Fruit, garden and tagged fuyu, garden hack, net bags, persimmon, squirrel damage by Janet. Bookmark the permalink.